The best Kodi addons provide amazing versatility for viewing movies, TV shows, IPTV, and even Live Sports. Installing a great Kodi build can get you access to many of the greatest Kodi addons in one shot, but often a custom built Kodi system works best. 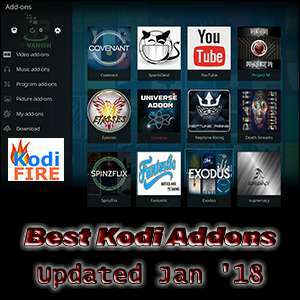 Our ranking of the best Kodi addons currently includes many old favorites alongside the newest, best addons available for Kodi. After you install one of the best Kodi addons, then go into its settings. Enable AutoPlay to speed up the source-finding when you go to play a stream on your FireStick. Many great Kodi addons appear on the scene without warning and seem to disappear just as quickly. Keep yourself informed and your Firestick loaded with the latest working Kodi TV addons by visiting the KFire TV front page on a regular basis. If loading Kodi TV addons onto your Firestick piecemeal doesn’t interest you, maybe check out the best Kodi builds. Only using a secure VPN can guarantee your anonymity and privacy. A great low cost VPN to use with Kodi, IPVanish ranks as the number one VPN for Kodi users. With nearly 1000 worldwide high speed servers and over 40,000 IP addresses, IPVanish guarantees your anonymity with military-grade 256bit AES encryption. Unlike many of their competitors, IPVanish does not throttle your connection or log any of your online activities. Your connection remains secure and your privacy intact. For every version of Kodi since Kodi 17 Krypton came out, we must enable “Unknown Sources” before Kodi will allow installation of third-party Kodi addons. If you’ve already done this, then jump ahead to the Best Kodi Addons list. If not sure what this means or how to, then utilize our simple Allow Unknown Sources in Kodi tutorial guide to enable this feature. Enabling unknown sources gives you access to third-party Kodi TV addons, builds, wizards, and repositories. The XBMC Foundation requires this step before continuing with the following installations, so come back here once you get this required step completed. A fork of one of the most popular and best Kodi addons of all time (Exodus), Neptune Rising currently has many more working links than any of its predecessors. 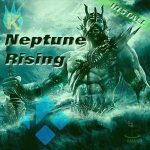 Arguably the best Kodi addon currently available, Neptune Rising has received a complete code overhaul from its forked Exodus base. Neptune Rising lives within the Blamo repository, currently very popular, so may download a bit slow for some. With tools you need, playlist capabilities you love, and streams you crave, Neptune Rising gets very high marks indeed. Another top performing Kodi addon, Covenant reigned supreme for many months. While it still holds the hearts of many Kodi users, it has fallen on hard times recently. As one of the most popular Kodi addons for months, it fell under the scrutiny of those who wish user choices limited to corporately controlled options. Still one of the best Kodi addons available, Covenant has had to duck its head and change home repositories. This marks it as on the run, which keeps it from the number one seat. 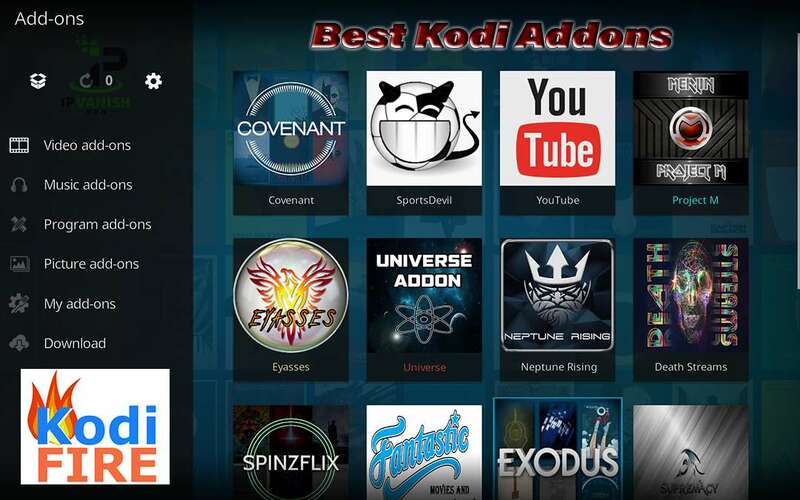 We love Covenant, which may well rank as number 1 in many lists of best Kodi addons. We just believe prudence necessary with Kodi addons of this high a profile. 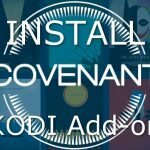 By all means, install Covenant, then enjoy one of the greatest Kodi addons of all time while it lasts. Just make sure to check the KFire TV homepage often for updates, so you avoid the head scratching when your streams begin to fail. 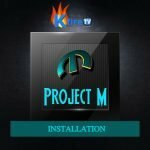 Project M from Merlin includes everything you need in a streaming Kodi TV addon. You can find categories for Movies, Sports, Television, Live IPTV Channels, and Music. You will find that the live television channels remain geo-restricted unless you avoid this with a VPN especially for Kodi users. 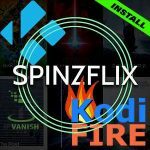 SpinzFlix, while somewhat new on the Kodi scene, has already become a favorite for many. This great Kodi addon provides SD and HD links dependant only upon your connection’s capabilities. 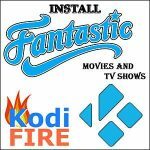 You’ll find all the Movies and TV shows you expect from one of the best Kodi addons along with special Urban and Kids sections. The best Kodi addon for sports enthusiasts remains SportsDevil, which lately resides most conveniently in the XvBMC REPOsitory. Sports Devil has been on the receiving end of a game of “Whack-A-Mole” with overbearing anti-piracy agents for ages. 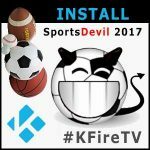 If you love sports, then you can’t go wrong with SportsDevil installed onto your Kodi Media Center. Simply keep up to date on its whereabouts by checking in with KFire TV regularly. A great new Kodi addon from WorldKodi residing in the Galaxy Repository, Universe has something for everyone. With a Real-Debrid login on its homescreen, Universe makes high quality, buffer-free streams a priority. 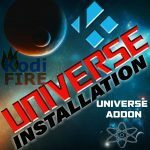 While limited in content, your approval of Universe as a supplemental Kodi addon within your collection is guaranteed. Kodi on Firestick makes perfect sense when you want to get rid of an unreasonably pricey cable bill, so cut the cable! 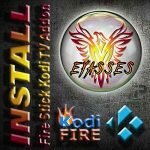 Install the Fantastic Kodi TV addon from the Firestickplusman Repo, so you can enjoy quality family entertainment. As one of the best Kodi Exodus and Covenant forks, Fantastic hits a homer. At the time that scare tactics used by overzealous anti-piracy legal departments pulled Exodus and Covenant (and many more!) offline, Fantastic stepped right in to fill the void. Covenant has a new home repo, but remains on the radar of many watchdog groups due its popularity. Fantastic has the same capabilities, so makes a great addition to your collection for more certain staying power. Well, as much as any third-party Kodi addon can have these days. Keep up-to-date on the latest news and greatest addons by visiting KFire TV often. One of the best new all-in-one Kodi addons, Eyasses from AJ’s Repository has 3D Movies, 4K Movies, Box Sets, Standup Comedy, Horror, and much more. You’ll even find infotainment options such as Audio Books, CCTV, Documentaries, and Cooking Shows to please you! Links in Eyasses only require one click. Eyasses then finds the best stream available for and automatically plays it for you. Eyasses may take a moment finding and playing a stream, so some patience may help once you click links. The quality of the auto-picked programming proves worth the short wait, then lose yourself in your chosen show. 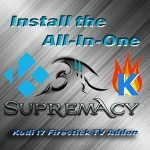 The Supremacy Kodi addon also auto-selects the best stream available, but from your choice of SD or HD link options. If Supremacy fails getting your first selection, simply try the next one on the list. Supremacy works magic to give you the best available stream. One of the best all-in-one Kodi addons available, Supremacy easily rivals the late Exodus in many ways. Supremacy has 3D Films, 4K Movies, IPTV, then adds much more. This includes Live TV, New Releases, Live Sports, and even current TV Series! Author’s Tip: To access all Kodi addons with minimal buffering, take advantage of the best VPN for Kodi. We secured 60% off the best Kodi VPN for KFire TV readers, so take advantage of it right here and now. That comes out to just a few dollars per month for unbreakable anonymity, security, and privacy! Using a VPN to stream Kodi will unblock addons in Kodi and keep your Internet Service Provider from throttling your Internet connection speeds. Don’t forget: If you have a fast, encrypted connection that can handle it, then our latest updated guides will keep your Firestick streaming happily along. The best Kodi addons start with Genesis and continue with a handful of top streaming apps for Kodi. Our list of the best Kodi Addons ranks them all. I just got a firestick a few days ago. What is a good app to watch live NFL games? Hello! CastAway is a great TV Addon for watching live NFL games. Hi I installed kodi on my Amazon fire stick I did the tv addons when I go into Phoenix and click on tv shows and it loads then I click on the show I want to watch it says it’s working then nothing happens I’m at a loss as how to fix this. Hi and thank you so much for getting back to me I did reinstall kodi but that’s not the problem the movies play fine. But let’s take Phoenix which is the one I’m having an issue with. I click on tv shows and it pulls up the list lets just take a program for instance I click on friends it says working everything runs then nothing. Shows won’t play. I can watch movies but not tv shows game shows ect. Is there a fix for this. Have you tried addons other than Phoenix? Does exodus have live tv stream? No. We recommend using other TV addons for that. Anything to help buffering live TV in Kodi? Hi Scott, have you tried our buffering guides yet?